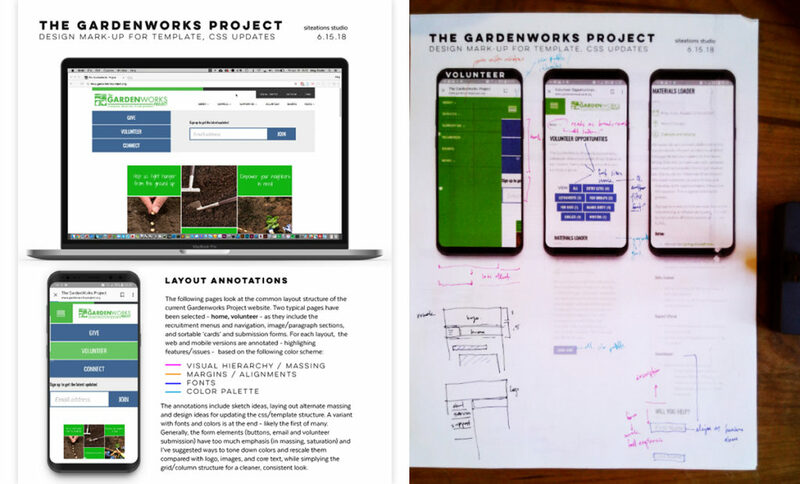 As a spur off my interest in the allotment movement in Chicago, I’m pleased to note that I’ll be doing some design, and development work for The Gardenworks Project in West Chicago. As the relationship is just starting, the images below include minor mark-ups and graphic mock-ups for an initial design round. I anticipate developing UI in illustrator & framer, creating customized templates in sass and php for the ‘nation builder’ cms. 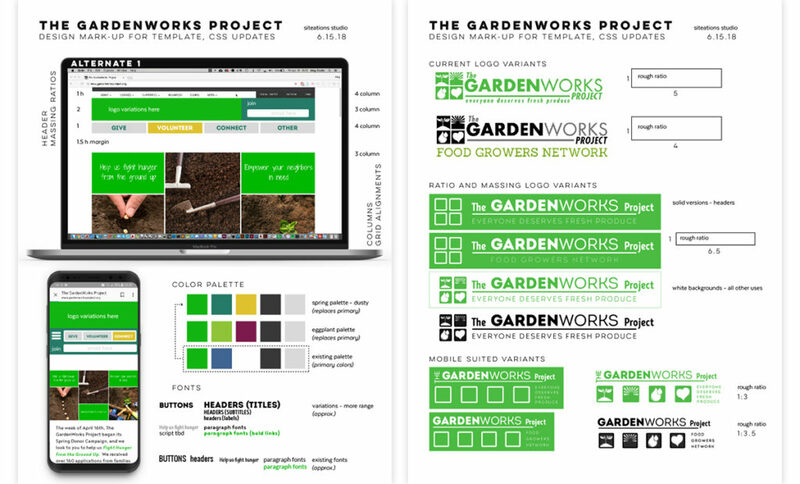 See The Gardenworks Project for more on their mission and structure.